If you have bought the 3G version of the iPad or iPad 2, you may have thought shortly after opening the box – “What… The iPad 2 doesn’t come with a SIM card? I need to go buy one myself before I can access the internet from it? Yes… That is correct, the iPad and iPad 2 3G versions allow you to access mobile broadband so you do things like browse the internet and read e-mails from it, however you need to purchase a Micro SIM card with a data plan before you can do this. So where do you start to look? Having looked at all the different options, Telstra appears to be good value at $30 for the start up kit which includes the Micro Sim and 3GB of data. Then for the recharge, the best value deal is 12GB for $150 which can be used over a 12 month period. 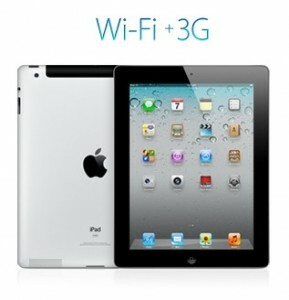 The iPad 3 is rumoured to have 4G capability however this has not been confirmed. My solution – Amaysim Mobile have recently come out with a Micro SIM data plan which allows you to access mobile internet from your iPad and iPad 2. The plan is great value. If want mobile broadband from your iPad and iPad 2 and you are looking for a micro SIM data plan for your iPad (or other tablet), Amaysim Mobile have a great offer, click here!